We’ve had yet another politician beating down our door, wanting to know what the noise coming out of Orb is all about. 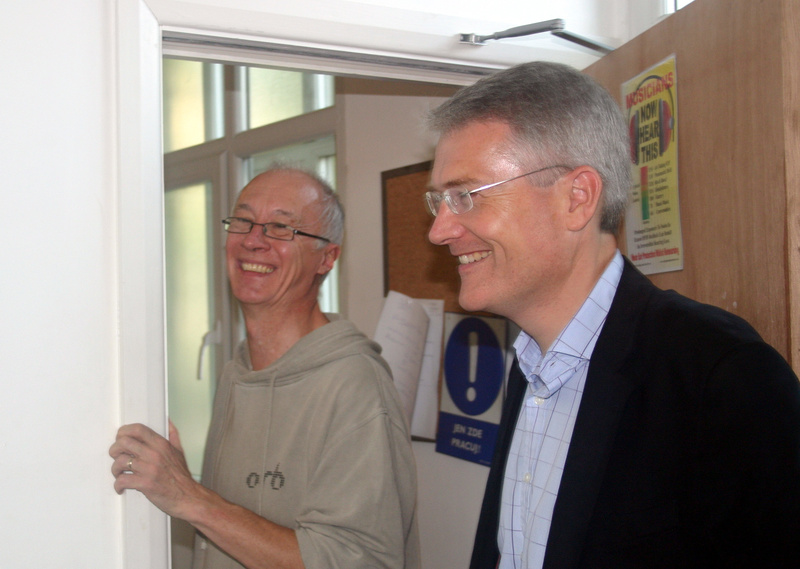 Andrew Jones MP, who currently holds the seat for the Harrogate and Knaresborough constituency chose to visit us as part of his Volunteer Week 2010 activities. This of course closely follows Mayor Bill Hoult deciding to choose us as one of his mayoral charities. Andrew Jones MP has been visiting local charities like Little Red Bus, Age Concern, Communicare and now Orb – getting to know community based support services and show his support for volunteering. He spent some time talking to Mark and Leon from Orb and revealed how he’d heard a lot about us, our increasing profile in mental health support and how vulnerable people with mental health support needs are often marginalised – something we’re trying to help fix. 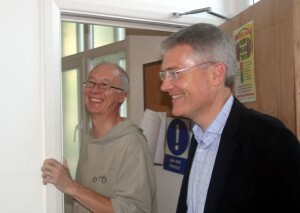 We were really keen to show Andrew our different creative spaces throughout Orb: our Art space, IT and computer suite, music rehearsal space and recording studio. 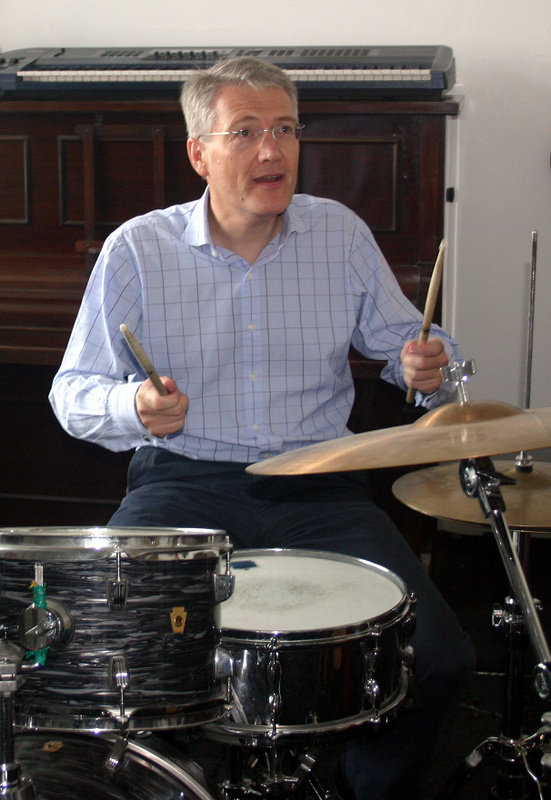 We even managed to get our MP to play the drums (probably inspired by bumping into Denise) and record a quick jingle endorsing Orb – that’ll be up on our web site soon. We echo Mick’s sentiments at a time of belt tightening and budget squeezing: that the importance of supporting vulnerable people isn’t overlooked at the expense of money saving and trimming the bottom line. Andrew volunteered for three hours with us, learning more about what we do here and getting his hands dirty which we were pretty impressed with. He asked lots of questions on his fact-finding mission about our local community, social responsibility and social inclusion: all high on the agenda of the new coalition government. As volunteering was the theme of the day, he was praising the positive impact that it can have and Orb is a shining example of how volunteering can achieve so much even though we’re working within the constraints of limited funding resources. 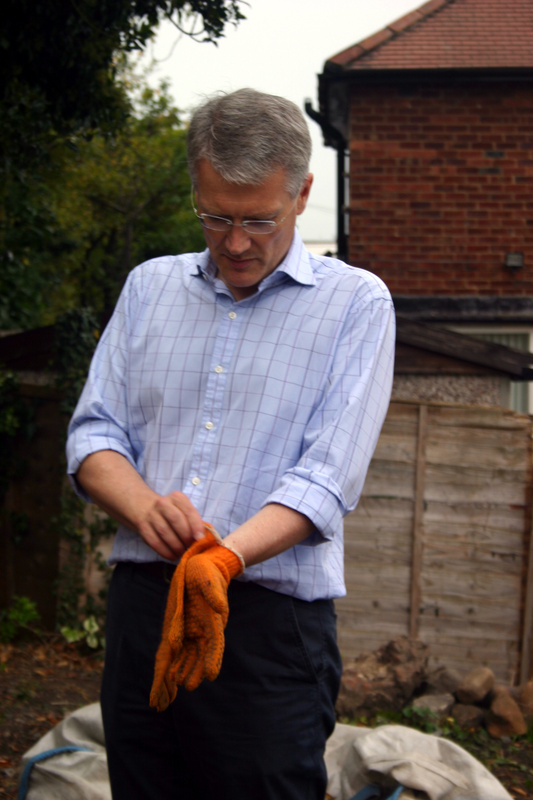 Of all the thousands of charities in North Yorkshire we’re proud that Andrew Jones MP chose to spend some time volunteering with Orb. We see his visit as recognition of our mission to provide a positive attitude to mental health in a creative environment and a sign that we’re now a respected part of mental health service provision for adults and our local community in Harrogate and Knaresborough. Do you want to volunteer with Orb? We’re always looking for people to help out and share their skills and expertise with our community. You should contact us or say hello on our Facebook fan page. We’ve just had a link posted back to this article: read about Andrew’s experience at Orb on his Volunteer week 2010 blog.